Committee Members Present - B. High, M.Clarke, A.Foster, C.Hutchinson, M. Pickering, I. Cougil, D.Mulvaney, K.Berry,I.Wilson, M. Radden, C. Radden, G.Eyre. AGM opened by the Chairman at 11.55 a.m. The Membership Secretary asked to make a statement prior to the meeting opening. The Membership Secretary made a statement to the membership – see “Pre AGM” notes below. AGM opened by the Chairman at 12.06 a.m.
2015 Minutes - The 2015 minutes were read and accepted by the membership. Chairman’s Report - The Chairman thanked the committee and web designer for their hard work during the year and to J. Bingley for the signs he had made. 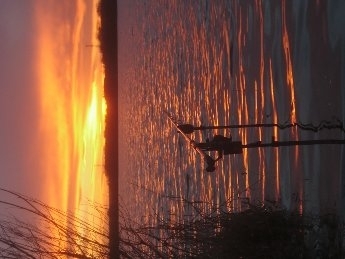 During the year we turned down 4 waters, 2 of which did not allow night fishing and the other 2 were open to the public. Another water - Gunthorpe lock had a 10ft drop off to the water and was deemed impractical and unsafe for fishing. The Chairman stated that he should be contacted about any rumour or matter upsetting the membership and that any issue should not be allowed to fester. The Chairman also stated that any appeal goes to the executive, then to the committee and finally to the trustees of the club where they have the final say. Treasurers Report - The treasurer read through the accounting information provided to the membership. Membership Secretary’s Report - The Membership Secretary thanked the web designer for his support during the year. The cheques/cash day for membership renewal was a great success and that the new login/renewal procedures all worked well. Guest tickets have also been purchased regularly and are turned around within hours of being purchased. The bulk of the membership insisted on separate verification for each committee member. The Committee was individually re-elected with the exception of the treasurer who was not re-elected (28-5). Brian High stated that Cliff Ranson had applied to assist on the committee, the membership voted to accept the application. With the membership removing the treasurer there was a heated debate in which Brian High felt that after being involved in the appointment of the treasurer he should offer his resignation, the membership rejected Brian’s resignation offer. Their followed a further very heated debate in which the Membership Secretary verbally resigned from the committee – the members asked for and provided a full vote of confidence in the Membership Secretary. Bob Beal(85) proposed and Jon Preen(75) seconded that the club look at the status of the Winthorpe parking at the spit (see note below). The membership asked for visibility of Committee meeting minutes (See note below). Notes relating to the pre AGM statement made by the Membership Secretary. • Maxine and Colin will continue to play a very full role in the club, both in being active members of the committee and as membership secretaries. All outstanding issues have now been resolved, their contribution to the club has been second to none and they received a unanimous vote from all committee members in recognition of this. • Two members of the original committee (Ian Coghill and Kevin Berry) are no longer involved in the committee or with the running of the club. • We also have new Health and Safety independent advisor, Ian Smith, who will be guiding us through this very important club responsibility along with Phil Turton at Committee level. • There will be regular committee meeting updates provided to members. 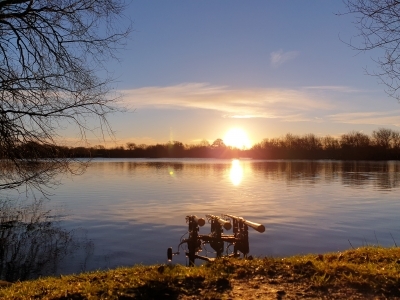 • We will be engaging more with the EA , Angling Trust and Fish Legal enabling us to be up to speed on all of the latest developments and to receive expert advice when required. • As we have all been through quite a difficult period, the new committee would like time to demonstrate that the above actions are all being dealt with, with that in mind we do not feel there is an imminent need for an EGM (The membership were informed of the treasurers departure at the AGM therefore another meeting to state the same thing seems unnecessary), if any members have any questions, feel free to ask them here, or anonymously to the chairman and/or any committee member and we will answer the them to the best of our ability. Any common questions and answers will be dropped onto the club Q&A web page. The future looks very bright, many thanks for your patience. ASHFIELD ANGLING CLUB. A.G.M. Minutes 03-05-2015. 30 Members were present, plus the committee, at the meeting which opened at 10-05. There were no minutes to read out because Alan Fletcher, who took down 2014 AGM minutes told the chairman that his computer had been hacked and that he had mislaid the hand written documents. The chairman opened the meeting by welcoming the members present and introducing the committee members to them. Brian High started his report by thanking the outgoing Secretary, Mr John Taylor for his hard work in pushing the club forward to where it is today. He was a founder member of the club, back in 1988. He, also went on to thank the outgoing Treasurer, Mr Colin Hogg for all his hard work in bringing the clubs financial records up to date. Brian thanked Mr Cliff Ranson for all the hours that he had spent on getting the website up and running properly from the poor state it was handed over to the club by the outgoing web designer, Mr Tony Tierney. He, then went on to thank Maxime and Colin Radden for their sterling work in sorting out the membership records and getting them up and running properly into numerical order which the former membership secretary had not done. Brian thanked all the committee members for rallying round and seeing the club through the problems of last year. He, finally thanked Malcolm Clarke and Kevin Berry for taking on the roles of secretary and treasurer respectively. Brian told the members present about the acquisition of Bingham Pond. 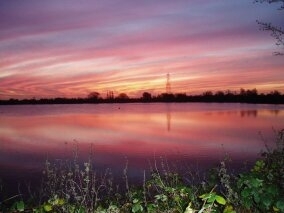 We negotiated a 10 year lease of this pond in exchange for 20 Ashfield Angling tickets for 20 Bingham Anglers. A great amount of work has been carried out cutting out a car park and freeing up the pegs. We have negotiated with the Gunthorpe Trust for a stretch of river by Bingham pond. 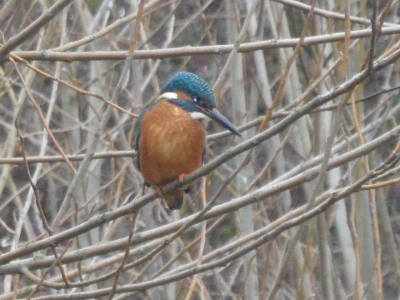 He mentioned that we were looking at a water, owned by the Thrumpton Estate, near Attenborough Gravel pits and 3 new stretches of the River Trent He then threw the meeting over to the membership, asking members about the problems they had heard or come up against in the last 12 months. K. Bonnett no 341 Asked how to get a password . Brian told him to see him at the end of the meeting for a password. P. Lenthall no 127 Asked how can one man control the club. Chairman told him that by splitting up the jobs and having a committee that worked for the members and not for self interest. M Dakin no 299 Did we have members on the committee who thought themselves better than the club members. The answer was yes. J Bingley no 0 asked about taking cars around the back of stoke weir. He was told that since the council had established the pathway as a bridleway cars were no longer allowed to drive along that route. M. Dakin no 299 what about the face book account in the name of ashfield anglers, could we stop it. Brian answered that the site was set up without the committees permission and that we were looking at ways to try and shut it down. J Bingley no 0 could he have the map reference for the Thrumpton pond on offer to the club. Brian said he would try and get it for him. Mark Harris no308 asked if we could look at the predator rule again. Malcolm explained that there was a 2 years block on proposing a new rule without proper clinical evidence for doing so. All members present asked if the committee would look at the ruling once again and try to accommodate eel and zander anglers. The committee agreed to look into it for the membership. J. Mcangus no 159 said he would help with formulating a new rule, Malcolm gave him his web address. Colin Tripp no 146 said that we need to fish properly for pike because they are not as strong as they appear, especially in summer. We need single hooks and small baits to eel fish in the summer nights. Can we not have any future A.G.M.s on a bank holiday. J. Bingley no 0 asked if we could have tea and coffee at the next A.G.M. M. Rigney no 82 asked if the instigators of all the trouble were still in the club. After a somewhat heated discussion it was decided, unaminously, by the members present that the 4 honorary members concerned be ejected from the club with immediate effect. Car details are kept on members database. Secretary had nothing to report save that he was trying to get on top of the leases with the Land Agents. He had paid 2015 lease for Cauldwell Dam and paid the insurance to Angling Trust. He also added his thanks to the chairman for his work during the last 6 months. Payment has gone from worldpay to paypal and you do not need an account to pay. Renewals will open on 1st December each year and there will be 2 cash days set up at a pub near a venue for people who prefer to make a cash payment. E mail reminders will go out to members on computer and text reminders or phone calls to members not on the internet. Your membership number is now unique to you. We would like to get more children involved in the club and so have dropped the price to £10.00 for all juniors up to 17years. If they pay junior fees for 3 years there will no joining fee to pay. Joining fee has now been made £40.00 so that everyone pays the same administration fee. Photo competition will be continued with the winning photo being printed on the next years membership card. Thanks for all your help and keep the photos coming in. Cliff is sorting out the website but it has been slow going with us going from one problem to the next. We do now own the domain ashfieldangling.com. Members can get on the web site but at present cannot log off but this will be addressed in the near future . Membership problems have been the first priority. Interactive maps of venues will soon be on the site. The web site will now go from strength to strength. The membership present voted unanimously that the committee stand as is for the next 12 months. J. Preen no 75 stated that when he set up the Face Book page, he was told that it was with the committees approval by Tony and had he known this was not the case, he would have had nothing to do with it. Tony and Steve were given admin rights which Jon relinquished. 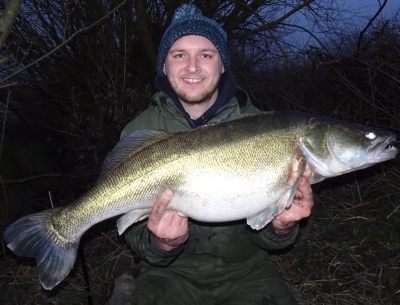 J.Mcangus no 159 stated that tench waters were dying out in preference to carp waters and more waters are needed for stocking tench in the future. 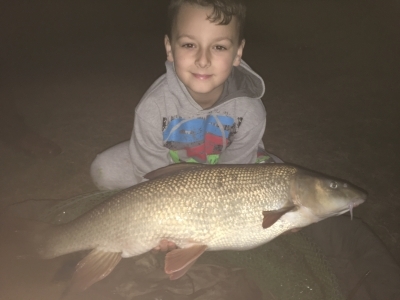 He was assured that Bingham Pond would not be stocked with carp and that all our fisheries are mixed fisheries and will always remain general fisheries. Steve's report gives thanks to all committee ,bailiffs and members who have worked hard through the year working for the club doing venue maintenance, lots of time venues have had to be closed due to flooding, weather problems. work parties have done lots of hard word at the Gunthorpe complex laying approx. 600 tonnes of tarmac chippings and hard-core, cutting new pegs and making the appearance of the complex better for all and greatly increasing access for vehicles. Winthorpe track access even though this is shared we as a club have shouldered all the cost and man power to do this with out help from other users. Caudwell maintenance and peg improvements Gordon and Brian have worked hard on this with little help from others. Cromwell Pip has done a lot of work here but due to this being a tidal stretch not all work is seen. 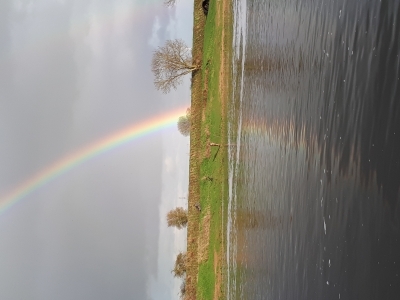 The club is constantly on the look out for new waters within the region to improve all year round fishing IE still waters away from the river flood areas as this is a worry and can stop year round fishing as we are a year round club on our still waters with the possibility to rent or buy so if anybody hears of any waters please let committee know. 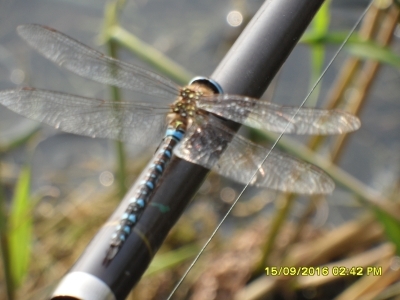 Bailiff reports need to be filled in regular to keep members informed not only of catch reports but river/lake conditions and access problems to our waters if any arise. Once again thanks to all the hard work all have put in over the last 12 months both what can be seen and what cant. on a sorry note Alan Renshaw to stand down as assistant chairman of the club, he has done a lot of hard work behind the scenes which has been very important to the club running smoothly for many years. Alan is asked to attend the stage and monies passed to him as a small token appreciation of all the help he has given the club, thanks again Alan. Thanks given again to Alan for all the hard work done. the club is now in its 25th year and has started from humble small beginning's to being one of the premier clubs in the area. and due to an increase in membership the club took stand to appoint Steve brown as health and safety officer who has worked tirelessly to do safety reports on all our waters and will do the same for any potential new waters as the arise. Rules on the website are the most up to date as this is a live document and can change at regular intervals the committee have decided these rules are the ones to adopt until we can get to print a new book which if we print before we are satisfied these will not change in the near future it can be very expensive to do so then have to change or send out amendments to all members. The club is in a very strong position with other clubs around the country folding weekly, we have a good member retention and a very strong waiting list for people to become members to our club. Work parties, we have adopted a new policy along the lines of other clubs that on joining the club in the first year at least 1 work party must be attended failure to do this will result in the position you have accepted not being renewed the next year, there will be exceptions to this rule but these would need to be raised at the start of the club year IE disability. This year we kept our insurance with Perkins and Slade but next year we will be looking at the Angling Trust so if any member of the club is in the Angling Trust will they let either a member of the committee or a bailiff know along with membership number. Renewal date of membership, the last day of February is the last day to re-join, no excuses please there has been numerous ones this year. Apologies for the lateness of the report on the accounts, done but need to be checked off. income and expenditure have risen due to increase in memberships and waters rents and maintenance to improve sites like Gunthorpe, Winthorpe and Caudwell, few people helping we need more. Day ticket and match tickets revenues down due to bad weather which was expected, the club has increased its financial investment from £30000 to £40000, corporation tax has been paid but this has been low thanks to negotiations by Dave Bonnett with the inland revenue as with out this help we could have stood a bigger financial burden than we have, thanks again Dave. Good levels of people opting to pay online and on time but we are some way off being where we need to be on this matter, this is clearly available on the back of your membership card and on the web. all bills for the club are paid, some late but this was out of our hands as some of them were presented to us late. Site equipment, the club has outlaid considerable amount on new equipment mainly the purchase of 2 industrial strimmer's and a long reach silky saw for tree and shrub maintenance these are needed to keep the venues in top condition for all club members and members of the public/land owner who have a right of way. We ask our member not to take on any tree/shrub cutting if there is any problem with any tree, shrub or plant life on our venues please report them to the venue bailiff or committee member who will be glad to look into this and will decide what if any action should be taken, remember safety first. The clubs accumulated fund is £53000 which is healthy but we must not get complacent this is thanks again to the work Colin Hogg and Dave Bonnett have done on the club accounts, proposer to accept accounts Alan Renshaw, seconded by Brian Eyre. 53 places left on the waiting list, this is bad news as all should be done by now. All member wishing to retain their place on the club must do so by the end of February as for the 2014/2015 season there will be no exceptions for late paying your place will be offered to the next person on the waiting list. matter of keys, there is over 1000 venue keys out there which is a security concern for the club and its current members so to combat this from the 2014 season onwards we will be issuing new keys on a yearly basis thus rendering all previous keys obsolete. The excuses this year for late/none payments have been laughable but some have still been allowed to join, next year "2014" this will change with no excuses. Again only 300 members have paid on time this is getting better but we still need to sort this issue, if you do not wish to join the following season a simple letter or email would help lowering this figure more. For the 2014 season onwards Tony will be simplifying the online membership form, this may help the matter too but please make sure all contact details are up to date. This year we have 130 new member available to do work parties in the first year this is thanks to the implementation of the first year rule. Thanks to Tony for all the hard work he does for the club both as his role of members secretary and web development, this is a thankless task involving many hours completing paperwork, membership cards and keys. Health and safety report, as previously mentioned due to the increase in membership numbers the club thought it was right and just to appoint Steve Brown as health and safety officer, he has a vast knowledge in this field as it is his day job and he also has spent numerous hours compiling venue reports which will be on the web site shortly, we advise you read these reports as the club has its members, guest and others who may be affected by the club members either fishing or on work parties. Reports have also been done on all club equipment and we ask if any member has and qualification or skill that is recognised to let us know then is we can utilise this skill to save the club money by not having to out source man power as well as equipment. Once again safety first. All members present were asked to show hands if they want to re-elect the committee as it stands this was unanimous. There is also 3 members who have been put forward to be committee members by a proposer and seconder, these were all done within the correct time scale and manner these were Danny Mulvainy, Ian Benton and Kevin Berry, the show of members hands present was also unanimous. The 3 club trustees oversee all the committee these have no voting rights at committee meeting but are there to safeguard the club and make sure that the committee has the clubs interest at heart. The 3 standing trustees were voted back in by a unanimous show of hands. The club would also like to thank John Brealy for his help in emergency signage for the club in the matters of closing venues and safety notices. John, I am waiting for Malcolm to email me the following rule changes as he stated IE the club dissolvement and piking rules, when he does this I will forward them to you. Piking rules voted to stay as they are by a 24 to and 5 against so rules as on website stand, New ruling that no rule to be changed once amended or added can be with out just reason IE a change in law to be touched for 5 years, this was voted on by vast majority.